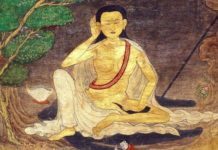 This two part conversation with Khandro Rinpoche is transcribed from this 2009 Chronicles Radio interview. Helen Berliner: Rinpoche, as Buddhism spreads in the West, practitioners view Buddhism less as a religion and more as a way of life. Would you please speak to the cultural implications of Buddhism, particularly vajrayana Buddhism? 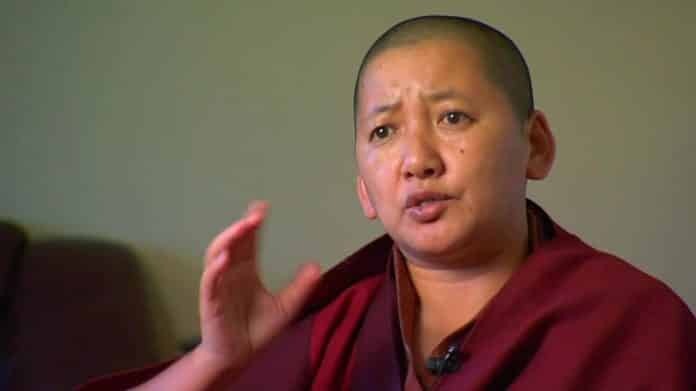 Jetsün Khandro Rinpoche: The spread of Buddhism in the West is a crucial topic, because at this point we can’t speak of Buddhism in the West for any simpler or more mundane reason than the West needing to realize what is happening. It is not just a question of the dharma beginning to flourish in a certain country or region of the world. 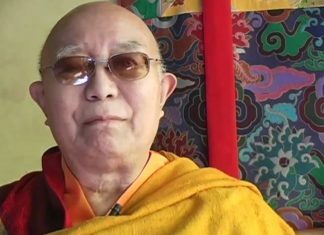 Rather karmically, the karma of sentient beings and the karma of the world is going through a transition such that the container being formed, in which the future dharma will be held, is fast pointing to the western direction. Many people feel very happy to hear about dharma coming to the West, the “westernization of Buddhism” as it’s popularly called these days. But this may not always bring to their minds an awareness of the responsibility that comes with it. From the teachers’ perspective, teachers must realize that this is not just about speaking in English or translating certain texts. It is about the continuity of the stream of the essence of dharma, which must unfold in this country in the most pure and authentic ways. This requires much more dedication and much more understanding of what it means to say that dharma is coming to the West. Teachers must realize this responsibility. And students must realize that this is not something to simply be happy about. The expression of your happiness and joy “Oh how nice, how good, dharma is coming to the West” is not sufficient at this point. What you must now understand is that you are building something that you must have the courage to hold, in the most pure and authentic of ways. This calls for both teachers and students of this and the next generation to understand the profoundness and depth of what the westernization of Buddhism actually means. Having received Buddhism in the most authentic way, we must now continue that in a very changed world, while still upholding the values and principles, the truth, depth, and purity in an unbroken lineage and an unbroken way. Religion or Way of Life? HB: As Buddhism spreads in the West, practitioners view Buddhism less as a religion and more as a way of life. Would you speak to the cultural implications of Buddhism, particularly vajrayana Buddhism? JKR: This is another level of discussion. It is very true that Buddhism is a way of living, an art of living we could say. But practitioners who fall into thinking “Oh Buddhism is a way of living, therefore I’m not going to view it as a religion” may be mistaken. Let me clarify this very carefully. Buddhism in its essence is not a theistic religion, per se. 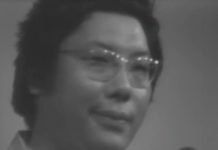 But when we talk about Buddhism as a way of living, we’re really talking about ourselves: who we are, what our potentials are, and the need to generate the wisdom to discern between negative tendencies, habitual patterns, and neuroses versus the basic nature, which we say is fundamentally pure. We are talking about using this wisdom courageously to transform the coverings of veils of ignorance, to genuinely bring forth our most precious fundamental basic goodness. Now if you are a person of very superior acumen and you can do this out of your own mindfulness, awareness, and realization, very good. This is what Buddhism fundamentally is talking about and this is why we call it a way of life. However, only you can judge how much of that wisdom you are able to generate mindfully, without falling into the many levels of neurosis that we usually get stuck in. Likewise, the courage that brings us out of the quagmire of delusion and neurosis is faith and devotion. But truthfully speaking, while we’d all like to believe we have tremendous faith and devotion to our basic nature, we forget about it more often than is good for us. Because this world we live in is all about concepts and designations, we are very dependent on outer sources of refuge. And so the whole presentation of buddhadharma as a religion has, in eastern cultures, had tremendous value and usefulness, in that having this external source of refuge has given people tremendous strength, courage, protection, and reminders. 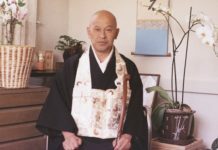 With the westernization of Buddhism, many people talk about their basic nature: “Being able to realize my fundamental nature is the pith, it’s the essential thing that Buddhism teaches. I’ll just stay on track with that. I don’t want to get into all those other aspects of ‘eastern culture. '” This seems quite right if you have the ability to do so. Only you can be the judge of this for yourself. Truthfully speaking, we ordinary human beings are very reliant on outer sources. To feel happy, we rely on outer characteristics; and so many outer sources are the causes of our feeling sad. It is crucial, therefore, to have the courage to develop basic awareness, to surrender to the Three Jewels, to take refuge in the Three Roots, and to have devotion and faith. This is an aspect of Buddhism that the western culture seems to have a low opinion of, without really realizing how very helpful it is. Of course, like any skillful method, this aspect of Buddhism must be used correctly. Otherwise, it does become an orthodox system of belief. That’s the downside of it. But having an overly optimistic sense of confidence in the potential of a seed before it becomes a fully fruitioned tree can also set you back. You want to trust your basic nature, but so often you forget about it. Meanwhile you refuse to depend on any sort of external refuge. This crucial point has to be understood. HB: Rinpoche, do you think that the individualism of the West contributes to this difficulty? 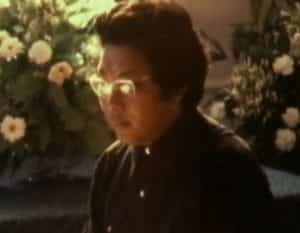 JKR: It is very much related to that, and to our understanding of what it means for Buddhism to come to the West. I often hear westerners say how they don’t want to get into the eastern cultural aspects of Buddhism. Now, however, you must be able to separate authentic, essential Buddhist training from western culture. Attachment to any strong cultural habits, or habitual culture, is always very tricky. Western culture, for instance, has a very strong emphasis on individualism and on trusting your instincts, your feelings and emotions. When you try to bring that western culture into your study of Buddhism, especially in the context of vajrayana Buddhism, you make it into a kind mishmash. Then when you talk about trusting in your basic nature, you may just be trusting in your own neurotic mind. And of course there is no end to neurosis, and no end to the conceptual ideas you can gather. The human senses are such that we have so many feelings. To trust in those feelings and emotions, and to try to uncover the basic nature from that may, for one thing, take a tremendously long time. Then, too, it’s so easy to get persuaded by those feelings and emotions, you may not have the clarity and strength of mind to go into the fundamental basic nature in depth. HB: This individualism seems to contribute to the difficulty of conceiving of community life, living in community. JKR: Well, people often go to extremes for instance, relying on your awakened wisdom nature instead of any external refuge. This is “extreme” in that you’re not accepting the fact that, as an ordinary beginner on the path of practice, you’re completely wrapped up in habitual tendencies. And given that your primordially enlightened nature is so covered in layers of veils of ignorance and habitual karmic patterns, you may not be able to rely on it on your own. You may need to rely on someone or something else, be it the teacher, the teachings, the Three Jewels, or the sangha, the community itself. Other people swing to the extreme of thinking of themselves only in terms of karmic patterns, neuroses, and habitual tendencies. They have absolutely no confidence in their basic nature. This swinging back and forth happens when you see yourself as alone and think “It’s all up to me.” This western individualism thinks that if I’m good, it’s up to me; if I’m bad it’s up to me; if I’m good or bad, it’s because of me. Criticism is all about me, as is any overly optimistic perception of myself. It’s a very self-cherishing society, and because of that self-cherishing you see yourself as an island. This context could be said to be contradictory to the Buddhist belief in interdependent origination or interdependence. Relating with others allows you to challenge how well you know yourself and how well you are training yourself. The exchange of benefiting others and benefiting yourself can happen fluidly, which is why the Buddhist tradition holds living in community to be extremely important. Community living gives you the chance to put the teachings into practice in a much more realistic way. You can’t just assume you’re doing the right thing when you very well may be creating a bubble around yourself. Living cut off from others can lead to becoming very egoistic and self-centered. Or, it may make you so afraid and unable to relate with things, you develop an extremely pessimistic view of yourself. Like a desolate island, you become very isolated and alone. Living in samsara, you have to analyze interdependence because of which you can rely on others, and because of which you can know yourself better. HB: This path of avoiding extremes, as you describe it, would seem to create a Buddhist culture—not an eastern culture or a western culture, but a Buddhist culture. Is that idealistic thinking or is that what actually transpires? JKR: That is correct. One thing the Buddhist culture of community, or sangha, teaches us is that everything is moving. The community changes, the dynamics change, events change, the way you live changes. The most beautiful thing about Buddhist culture is that it allows for the continual unfolding of growth, transformation, exhaustion, and renewed growth. People would be mistaken to think that a Buddhist community is a perfectly structured way of life. That would be a Camelot—which can only remain as long as there is a fantastic leader. Upon the death of that fantastic leader, it will again go into a state of change—argued against by some and held to by others, along with all the suspicions, disliking of one another, and other complications that always occur. This then goes into solidification—and as the teachings tell us, all causes of confusion and harm come from trying to grasp onto and solidify things. So it is very important for a community to understand that each day is a new day. And as each day unfolds, that unfolding has to be used in the best and most productive, constructive ways. This means that each individual generates the best of the training individually, out of which comes benefit for one’s own self and for others. HB: I wonder if you would say something about artistic expression in this context, because what you just described seems to be a definition of creativity. The only definite structures we have are certain ways of going about things: abandoning the ten unvirtuous actions and cultivating the ten virtuous actions; developing the six or ten paramitas; living by the principles of the Four Immeasurables; reflecting on and really developing the wisdom of the Four Noble Truths; understanding life to be the Twelve Nidanas, and then living according to the Eightfold Path. These are the guidelines for the culture of Buddhism and for those on the path of practice. Everything else works in tandem with this understanding. This is why in vajrayana we say that life is a “magical dance.” You never know what the next gesture is going to be, you never know what the next melody or rhythm is going to be. What you do know is that it has to be balanced on awareness. JKR: That’s a bit different. The path and practice of vajrayana is a method, a skillful method. 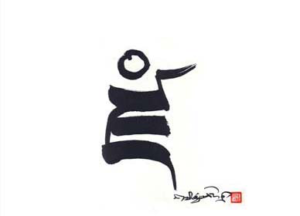 Vajrayana itself means “a trained mind.” A person practicing vajrayana is someone who is trained to work skillfully. That said, the skillful method of vajrayana is to uphold the view of mahayana, which is bodhichitta, the selfless awareness of the needs of others. So a vajrayana practitioner is someone who lives life properly trained in being skillfully aware of the needs of the others, and who is able to selflessly respond to that every moment of their life. HB: Rinpoche, how would you then define mandala principle, as related to our everyday lives? JKR: Mandala is a very crucial point, from the perspective of vajrayana practice. The dimensions of a mandala are the sphere of your mind. You can make it as small as a mustard seed or let it expand limitlessly. It’s all up to you. The whole cultural aspect of working with mandala is the art of suppleness and flexibility-and making it vast or small, in response to your view. And in this case, we’re talking about how the mahayana view would require you to respond. One way to look at it would be to look at the sphere of mind of our great gurus. It just shifts according to the needs of sentient beings, and time and environment. With such suppleness, such flexibility, it can be here and everywhere. It can be now and everything, and yet so precise and to the point—all with absolute grace and elegance and simplicity. So you are training the mind and the dimensions of mind to really be flexible. And of course, this training would include the various vajrayana methods: for example, seeing all phenomena and thoughts as your mind; seeing the inner and outer mandalas, and the union of both, and so on. And it would not be done with a sense of sacrificing to the needs of others, but with the understanding that ultimately this is your basic awareness. This sphere is the main essence of the mandala principle. 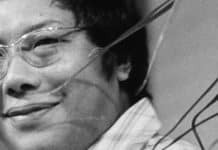 Helen Berliner has been a student and practitioner of Buddhism and contemplative disciplines and a student of Trungpa Rinpoche since 1970. Since 1993, she has been a student of Mindrolling Jetsün Khandro Rinpoche. Grateful for the awakening of dharma in the western world, she has served in sangha administrative and teaching roles for over forty years and is currently on staff at Mindrolling Lotus Garden in Virginia. Mindrolling Jetsün Khandro Rinpoche is a teacher in both the Kagyu and Nyingma schools. She speaks fluent English, Standard Tibetan, and Hindi and has completed a Western education at St. Joseph's Convent, Wynberg Allen School, Mussoorie, and St. Mary's Convent, both in India. She has taught in Europe, North America and Southeast Asia since 1987. She has established and heads the Samten Tse Retreat Center in Mussoorie, India, and she is also resident teacher at Lotus Garden Retreat Center in Virginia, USA. She is also actively involved with the administration of the Mindrolling Monastery in Dehradun, India. Additionally, she is interested in interfaith dialogue and currently sits on the Board of World Religious Leaders for the Elijah Interfaith Institute.